Perhaps it’s a Friday night, and you’re looking for a nicer restaurant in order to enjoy a Wisconsin tradition — the fish fry. You call ahead to get a reservation, you manage to land a babysitter, and then you and your spouse embark for a night out on the town. Let me ask you, “What are your expectations for the restaurant experience?” If you’re at all like me, when you walk in the door, you expect to be warmly greeted and well-treated; after all, you’re a paying customer. If you have a reservation, you also expect to be seated without delay. Once you’re seated in a prime booth location (because after all, you’re important! ), you expect the wait-staff to make contact with you almost immediately, asking what you’d like to drink, and then clearly communicating the day’s specials to you. You expect your waiter(ress) to check in on you multiple times before the food comes — and when it does come, it must be delivered promptly. Of course, the presentation isn’t really that important with a fish fry, but the taste? It must be perfect. Throughout your dining experience, you really don’t want to experience thirst at all, so you expect the waiter to keep your glass full. If you slip away for the restroom, you should be able to find it easily (i.e. not confused with the kitchen! ), and it should be spotless. If the restaurant manages to come through on all these things — IF — then maybe you will review them on Trip Advisor, and you’ll probably leave a nice tip. With those expectations for a good restaurant in mind, let me ask you: “How many of you have the same sort of expectations for the local church?” You expect to arrive at a perfectly cleaned building every Sunday — no smudges on the front windows and no wrappers on the carpet. The lawn should be manicured to perfection. You should find a parking spot near the entrance. Greeters should abound, noticing you and smiling in a way that’s big enough to look genuine, but not too big so as to look fake or cheesy. You should be given a bulletin and asked sincerely, “How are you doing,” because people should care about you. But they shouldn’t care too much, because you really don’t want people asking you about your spiritual life — “Hey, that’s personal!” Oh, and you should be able to take your kiddos to a nursery without giving too much thought that it takes other volunteers and servants for Jesus to staff and clean it. Even if you’re super late, you expect to find a good seat in the auditorium; ushers should save you one of the premium seats — you know, the ones on the back row with easy access to the coffee and restrooms. And when it comes to the music, you expect it to be loud and joyful enough so that it’s clear we aren’t at a funeral, but yet quiet enough to be reverent. And then when it comes to the sermon, you don’t expect much — just that the preacher spent time in the original languages earlier in the week, consulting contemporaneous ancient literature to assess the appropriate range of meaning for each word. His sermon be true to the text, theologically sensitive, rich in application, and absolutely life-changing — but yet delivered in no more than 32 minutes. If you stick around after the service, you expect people to minister to you. Other people should ask you how they can pray for you, or if you want to be discipled, or if you want to be best friends. You expect all of this, even though you’ve never been to the church’s weekly prayer meetings, Bible studies, or a community group (because, those seem a bit intrusive on your schedule). Oh, and I almost forgot about announcements. These things just drone on and on. Can’t they just spare you some of this stuff? I mean, you have the rest of your day to get to — including binge-watching the NFL and hopefully some nap-time — so at the end of the service, you sure hope they don’t ramble on about prayers for sick saints, meals for those in difficult trials, extra classes for people who want to grow in their faith, opportunities for people to go public about their faith in Jesus through baptism, or reports from the missionaries serving God among the nations. After all, you have pressing brunch reservations at your favorite restaurant. Oh, and giving? If the church does all this really well, maybe you’ll leave a tip. Too often, we approach the church as customers who expect to be served by a business, when Jesus has called us to be partners who are in this work of service together.  A customer says, “Serve me,” while a partner says, “Hey, we’re in this together!” While Lakewood is blessed by a growing number of souls in attendance each Sunday, we need more partners to do the work of ministry together.